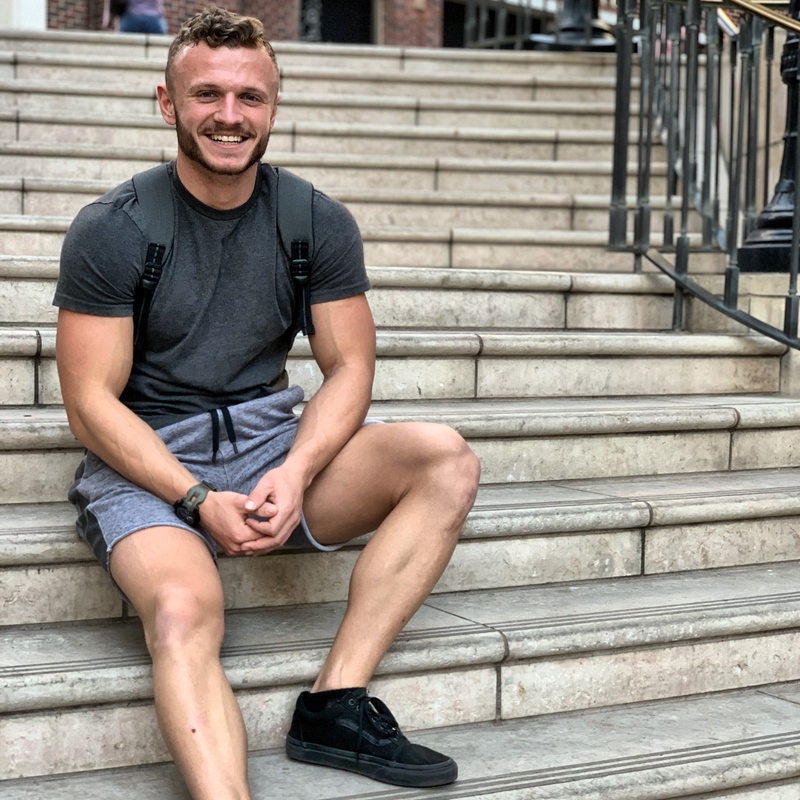 Austin Paulsen, a young fitness entrepreneur and CEO of AP Performance sets out to challenge the status quo on competition training for athletes and creating a better personalized conditioning method for all who want a lifestyle change. I am from a small town and have always played sports. I am a very competitive person, so when sports were done I put my new focus in lifting weights. I was always very skinny and undersized during high school, and I wanted to change that for self confidence. I remember walking into a local supplement store and saw a poster on the wall of a fitness competition. I asked the guy working in the store on what that was, and I found out he actually coached people for it. So I hired him and competed in my first show. From there on, I was addicted to learning about nutrition and fitness. I then spent hours and hours listening to podcasts, audio books – literally everything I could get my hands on. From there, people started asking me for advice which I gave out for free that led to great results for them. I then had my first client come to hire me to prep athletes for competition. We ended up placing them in the top five of the competition, and my company started growing through word of mouth. Now, I have helped hundreds of people with their fitness goals whether that is in sports, fitness competitions, military preparation, and more. You have been working in the fitness space for many years, and you have been successful at consistently performing at the highest levels. What are some of your strategies that could be helpful to fitness leaders and managers? I have been coaching for about three to four years now. I would say that the biggest thing with coaches is they try to get ahead of themselves by acquiring more clients rather than giving their current clients the quality and attention they deserve. I think it is better to not get ahead of yourself and take on clients that you cannot help, but rather making sure you have the knowledge and tools to actually help people the best you can. When coaching a lot of people; it is important to look at the nutrition and exercise. The reality is that coaches should know that the biggest part of coaching is the communication aspect. It isn’t rocket science how to lose weight but it is very very important that you develop the communication skills that best suit each individual client. This is a process of behavioral change, and so understanding how to build the relationship with your client has been the key to my success. At the end of the day, you have to treat each client as your last. Invest the attention they deserve and make it’s the best program for them so then they can utilize everything you taught them for the long term of sustainable results. Tell us something you discovered in your field that you feel we should all know about? I have noticed that the fitness industry is starting to be flooded with influencers that may look good, but really don’t know about the correct protocols with nutrition and exercise. A lot of marketing has become very very good for selling products and services but I think the quality of those things have gone down. These concepts are driven by external motivation — but at the end of the day each individual’s goals should be driven internally and by the success driven goals they have. People shouldn’t be driven to look like an Influencer. To grow a client in the health and fitness space, they need to be confident in themselves first and of what they can achieve. So I think there is a lot of misconception going on, and I just wish it turns around. This industry needs to focuses on genuinely helping more people rather than focusing on how to make more sales. What do you feel is a common mistake fitness leaders often make and how can they fix it? I think a common mistake leaders make is dictating rather than actually leading by example. I don’t understand some trainers at the gym or online that don’t practice what they preach. There are people out there partying, drinking and eating garbage but then selling fitness programs because they genetically look good. I do not agree with this model. I want to lead by example with my clients, and I actually want to work harder than my clients so they have something to relate with and look up too. I think that is why I have gained so much respect in the industry. Also I think that most leaders blame their clients for them not sticking to a program or falling off. At the end of the day, the leader has to take responsibility for an incorrect program that didn’t suit a client best and/or not developing the relationship with the client to communicate exactly what they need to change their lifestyle. They obviously want to change their lives because they filled out your application to work with your studio and team. But when coaches say it’s their clients fault, what that actually tells me is that the leader did not work hard enough to do everything they can to help the client reach their goals. What’s something great that fitness leaders are doing right now? Some great things fitness leaders are doing right now I would say are giving back to their community. They do this through having team events, or as simple as giving them a call that isn’t within the agreement terms just to see how they are doing. I think at the end of the day the biggest thing you can do is attain respect from your clients. The relationship with them is going to be the thing that leads to their success. The whole process about them reaching their goals doesn’t 100% rely on the nutrition and exercise, but rather their perceptions about the process. What are 3 pieces of advice you would give? 3. Be consistent with your clients and growing your business. Showing up is 90% of it. This doesn’t happen overnight.